Tons of new links were added to this list. Please view them carefully. The sequential order of the links doesn't mean that the top ones are better. http://www.islamhinduism.com A good Muslim website that responds to Hinduism in a variety of different areas. Run by brother Mushafiq. Brother Sami Zaatari's web site. Brother Bassam Zawadi's web site. Many downloadable AUDIO lectures by Dr. Zakir Naik. For FREE! Debate -- Zakir Naik VS Arab Christian Preacher: Was Jesus Crucified? Dr. Zakir Naik and Sri Sri Ravishankar on the concept GOD Almighty in Hinduism and Islam. Ample AUDIO Lectures/Debates by Dr. Zakir Naik. Sheikh Ahmed Deedat's Official Web Site. www.MuslimsForFreedom.com A wonderful web site done by an American-convert brother. http://www.BismikaAllahma.org This is brother Mohammad Elfie Nieshaem Juferi's (MENJ) web site. It has excellent material refuting many of the lies against Islam, and it is constantly growing. NooruAllah Web Site. A very good web site with excellent articles. Why Christians Convert to Islam? A very good web site by brother Frank, who is a new convert to Islam. The site contains several comparative-religions articles writing by brother Frank. www.youtube.com/Islamandfriends. An audio web site by brother Eslam, a new convert to Islam, on politics and Islamic issues. The brother has his own talk show. Listen to audio this clip regarding 9/11: The biggest lie in History! www.islamforchristians.com It is an Islamic website specialized in Islam and Christianity: convergence and divergence. This valuable website is available in Arabic, English and Spanish. Run by brother Abdul-Rahman Mojahed. The Peace Propagation Center. Run by brother Mir Imran Ali. http://www.dr-hamid.com/ A very classical web site in design by Dr. Hamid with AUDIO lectures about Islam and comparative religions. www.islam-planet.com A growing and interactive web site with debates dong by the Muslim brother who runs the site. http://www.muslimtv.magnify.net/ A growing web site that contains many audio-debates. www.BibleQuran.com A growing comparative-religions web site with a listing of several Islamic books that deal with Muslim-Christian dialogues. Managed by brother Mohammed Muslim. Exposing the false trinity - A youtube channel by brother Brahim. Refutation to lies made by "christian prince" regarding the "Right hand possessions". Refutation to "answering islam" on Islam's view of the Bible's corruption. Does Quran Promote Killing of Innocent especially non-muslims? How do you explain 9:5, 8:12, 2:191, 4:88 and many others? Why did Prophet Muhammed Marry Aisha At a Young Age? Is that Morally Right? What about Pedophilia? Does Surah Nisa 4:34 Degrades Women? Is It True 4:34 Encourages "Beating"? http://4muhammad.org An Islam-defending web site with ample comparative religion articles in Arabic. Very good web site for Arabic speaking Muslims who are actively defending Islam on the web. The True Call. A very good web site by a group of brothers that covers a variety of topics regarding Islam and other comparative religions subjects. Resurrection Accounts of Jesus(pbuh) in Bible? Muhammad In The Bible. By Dr. Jamal Badawi. http://www.rabi3-alqolob.com/phpBB2/ A message board in Arabic with some very good links and sections that deal with the Noble Quran and the Hadiths (Sayings of Prophet Muhammad, peace be upon him). 1- The different canons (new testaments) of the Bible. 2- Responses to so-called Errors in the Noble Quran. 3- The history of the Noble Quran's Preservation, with captured images of early Quran's manuscripts. Even Christians say the Bible is full of errors. The Ten Commandments and Confirmation in Quran. 25 Fascinating facts about the Dead Sea Scrolls. This is a non-Muslim site. Barnabas, His Gospel, and its Credibility. www.theguided.com and www.muhtadoon.com. Great sites done by brother Faisal Al Muhtadi regarding Christianity and Islam. He is a new convert to Islam. http://www.leveltruth.org/ A thought-provoking book of non-conformist comparative religion, the First and Final Commandment analyses the Islamic claim of continuity of revelation from Judaism to Christianity and, in the end, to Islam. The fragility of traditional Judeo-Christian teachings is confronted, and refreshing insights offered. Understanding Islam. A great web site that covers vast areas in Islam and Christianity and responds to many of the false charges against the Noble Quran. Muslims Answers A great web site by brother Robert Squires. Talking to Christians about Islam A great web site by brother Shabir Ally. The Religious Truth. A web site with excellent articles and points that refute trinity right from the Bible. Another great site for Answering Christianity. Done by a 13 year old brother, may Allah Almighty bless him and always be pleased with him. www.islam-thechoice.org Has all of Ahmed Deedat's books. A great book on Islam and Christianity. This site recieves 300 hits per day. For New Muslims or people who want to know more about comparative religion. Another site for New Muslims or people who want to know more about comparative religion. Taqwa'ul Islam (the faith for Islam) on line. A great site that exposes many things about Trinity, and lists what Jesus really said. New Islamic channel to expose the missionaries. Corruption Of The Torah: Did mankind tamper with the Old Testament? Muslims Believe in ALL OF The BOOKS OF ALLAH, although the books before the Qu'ran were tampered with. Muslims and Christians working together. Although this is a Christian site, but I feel that it is a good one that helps us to gain love with Christians and understand them better. Frequently asked questions about the Bible. Crucifiction. By Sheikh Ahmed Deedat. Textual Variants of the Bible. Islam and the US Constitution. See similarities between Islam and the US Constitution. What is Christianity? By brother Salih. You Say You Follow Jesus' Teachings ??? 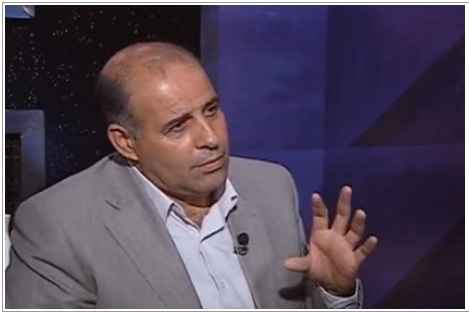 Dr. Zahlool Al-Najjar is a great Muslim Geologist and Scientist who wrote many books, publications (131 publications as shown on his resume in English), and 10s of journals and reports proving many of the Noble Quranic Geological and Scientific Claims to be accurate through Modern Science and Technologies. He is well known in the Scientists community of Geology in both the US and Europe, because much of his work and research, especially during his early days of scientific research, was done in these countries while he resided and studied in them. Adnan Al Refaei on the Miracle of the number 19 in the Glorious Quran. Arabic Video. Adnan Al Refaei "The Great Miracle" Book on the Numerical Miracles of the Glorious Quran. 653 pages in Arabic. www.IslamTomorrow.com. This website is owned and operated by American convert Sheikh, Yusuf Estes. The Quran's miracles in every area of science --- Embryology, oceanography, geology, and more. By the www.it-is-truth.net web site. Islam Online. A web site that contains the great work of the Egyptian Sheikh (Minister) Yusuf Al-Qaradawi; may Allah Almighty always be pleased with him. For Islam. A great web site by brother Amr, who is an Egyptian Muslim Minister who talks about the good manners and morals in Islam on A.R.T. TV. A great web site built by a Muslima sister who recently embraced Islam. May Allah Almighty always be pleased with her. Message of Islam to Humankind. http://thetruereligion.org/ An invitation to discover Islam, the natural religion of man. Introductory material, myths debunked, God, monotheism, Christianity, refuting anti-Islamic claims, the web's largest collection of converts' stories, free email & much more. Updated frequently! The Islamic Training Foundation Web Site. Teaches about rules for being an employee and employer in Islam. Comparative Studies, questions & Answers to the most spotlighted issues in Islam. Link to Yusuf Ali's translation of the Quran. Islamicity.com Islamic City Center of Islamic resources geared towards Muslims. Quran, Ahadith, Prayer Time, etc. The Islam Page --- A storehouse of links to information about all areas of Islam. Hadith (sayings of Prophet Mohammed peace be upon him), hear the Holy Quran with RealAudio. Principles of Islam. 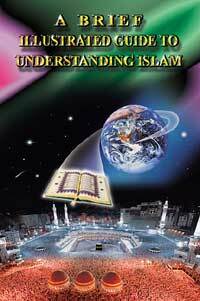 Learn more about Islam, woman in Islam, organization, comparative religion, and other things. www.cair.com: Find local mosques searched by zip codes or states, learn about the Muslims status in the U.S., learn about community activities done by Muslims, and you can also donate to help the poors. The Justice Paradigm Koran and the Scientific Study of Society. Racism , the West and the Third World. Arabic Translation Site. This site translates sites from different languages into Arabic. Nassira Network. Fights the incomprehension and the rejection of one of the most visible symbols of Islam: The veil (hijab). http://www.islamicdiscovery.com A great site about teaching Islam. The-Islam.Com. Islamic directory on very good Islamic sites on the internet, and Islamic donations. Islamic–World.net A very good site about Islam and Islamic history and information. www.al-usrah.net Has a good collection of Islamic articles. Muslim Student's Association of SUNNY Binghamton. Islamic information from a university perspective. Muslims at Binghamton University have gathered material for both Muslims and non-Muslims alike, and have included great mp3 files of the qur'an. Arab Marriage Connection. Its called the "Arab Marriage Connection" and is a site for Muslimahs (or their families) to find good brothers and vice-versa, Insha'Allah. The site is closely monitored to make sure everything is modest. Scientific Miracles in the Noble Quran by Harun Yahya. An ON LINE Dictionary to the Arabic words used in the Noble Quran. History in the Noble Quran V.S. the Bible. The Noble Quran's claims were historically proven to be Truthful, while the Bible had many errors and discrepancies. What would Prophet Muhammad do? This site was made by brother William Colletti; an American Muslim brother who embraced Islam. http://www.al-islam.org/biographies/tabatabai/ A 6-year old boy memorized the Noble Quran. A New Muslim's Guide to Islam. Islam, Quran and Al-Qiyamah (Day of Judgement). Shedding some Light on Islam. www.what-is-islam.org This web site uses flash technology that plays neat looking videos about Islam and Christianity. I want to be a Muslim..Now what? Certainty: Condition of "La ilaha ill Allah"
The Tafseer of Sooratul Fatihah - Compiled from the tafaaseer of at-Tabaree, al-Qurtubee, Ibn Katheer, ash-Shawkaanee, as-Sadee, and ash-Shanqeetee. Two documents on Tawheed from Abul A'La Mawdudi's "Towards Understanding Islam"
The Origins of Shirk by Shaikh Naasir ud-Deen al-Albaanee. How Do We Know What Is and What Is Not a Bid`ah? Closer and closer comes the Reckoning..
PARENTS & CHILDREN , WHOSE RIGHTS ?